That pound sign means so much more these days. Twitter has updated it with the hashtag. The shocking (or not so shocking) thing is that the hashtag has crept its way into all sorts of non-digital places. You can see them on billboards while driving, find them on business cards at a networking event, and even see them on t-shirts worn by teenagers. It has become a cultural icon. For marketing purposes, the hashtag can be extremely useful across many different platforms. The new trend of putting the hashtags on billboards is in hopes that it will encourage people to go to Facebook, Twitter, or Instagram for a deeper look at your business. It has, in essence, made this world even smaller. It is all about connecting and bringing people all together. The owner of a social media agency, Social Nicole, Nicole Harrison says that she has connected to other space enthusiasts before and during a space shuttle launch through following a hashtag. This is an extraordinary movement for this little mark, hashtag (#). What are some interesting ways that you have used the hashtag? Have you seen any clever ideas? 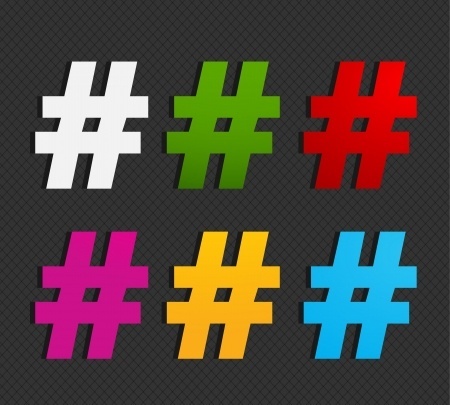 Are you effectively using hashtags in your social media marketing? Susan J Campbell Copywriting Solutions has a creative team ready to pull together research on the best hashtags for your industry. Contact us today! This entry was posted in Hashtag and tagged hashtag, marketing, social media, Susan J. Campbell Copywriting Solutions. Bookmark the permalink.